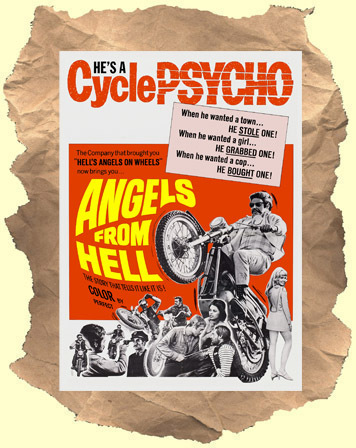 SYNOPSIS: An early entry in the biker craze of the late 60's - early 70's. In this one Viet Nam vet Tom Stern returns home and joins up with some bikers. Before long the outlaw gangs are looking to him for leadership. Eventually they go up against badass sheriff Jack Starrett and his police force as war is declared. Many real life bikers co-star in this overlooked exploitation rarity.